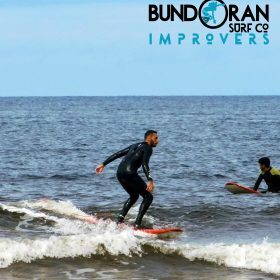 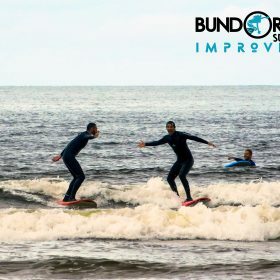 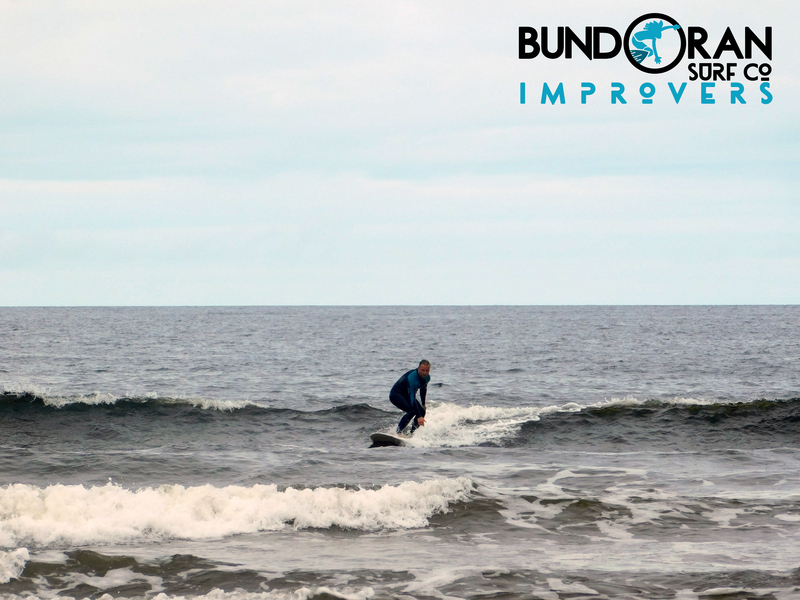 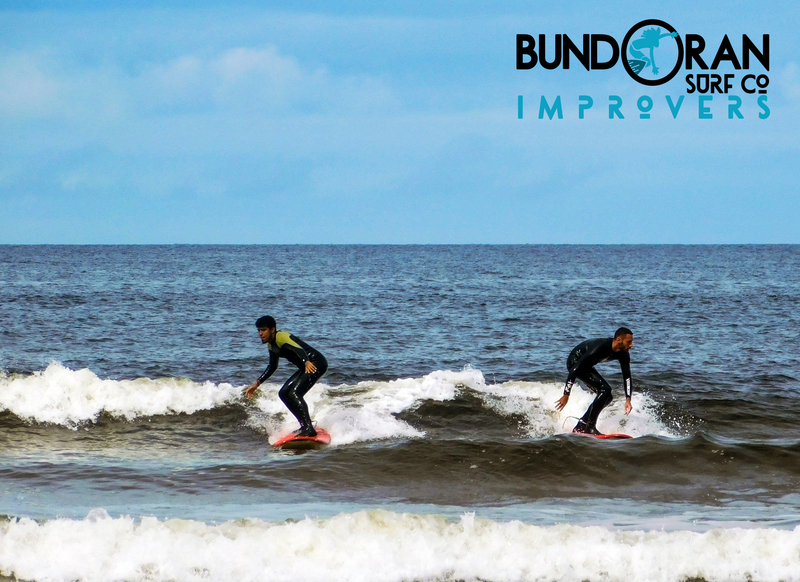 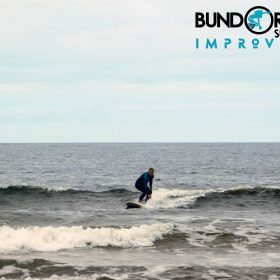 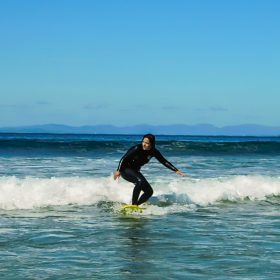 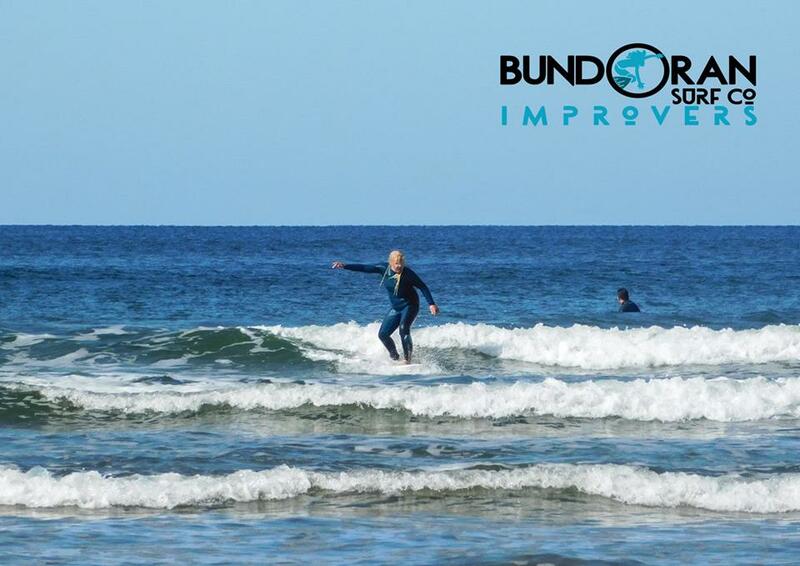 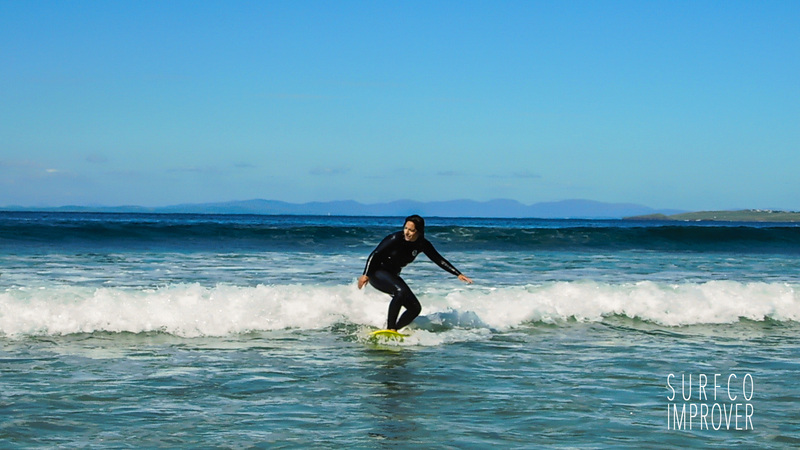 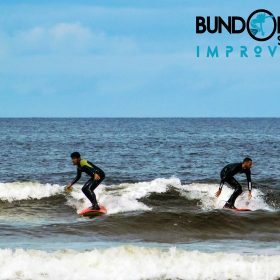 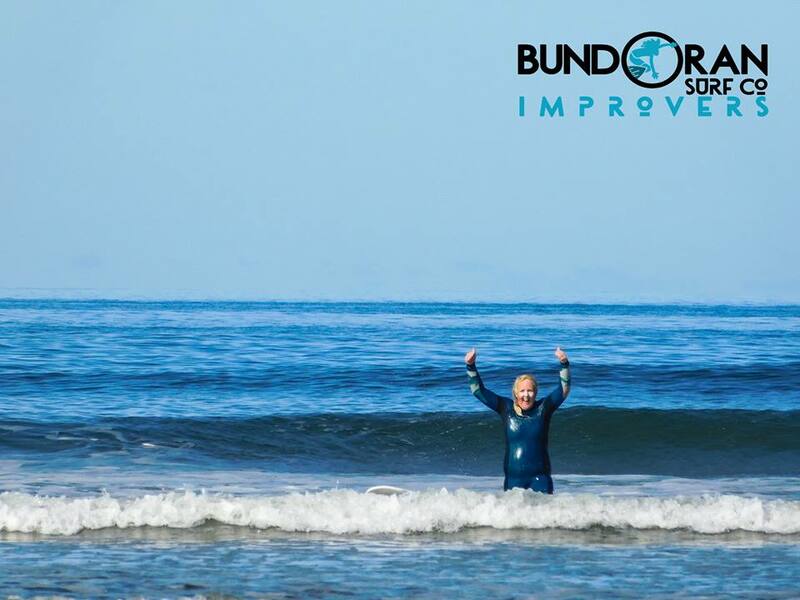 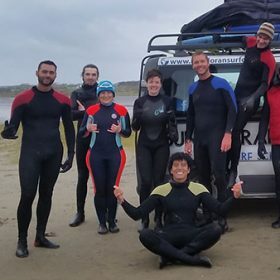 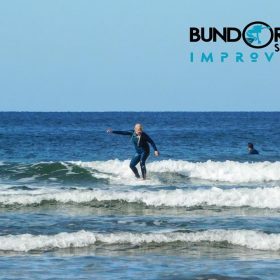 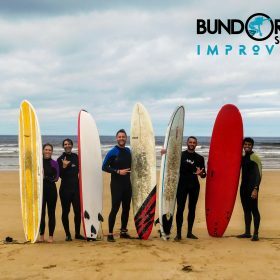 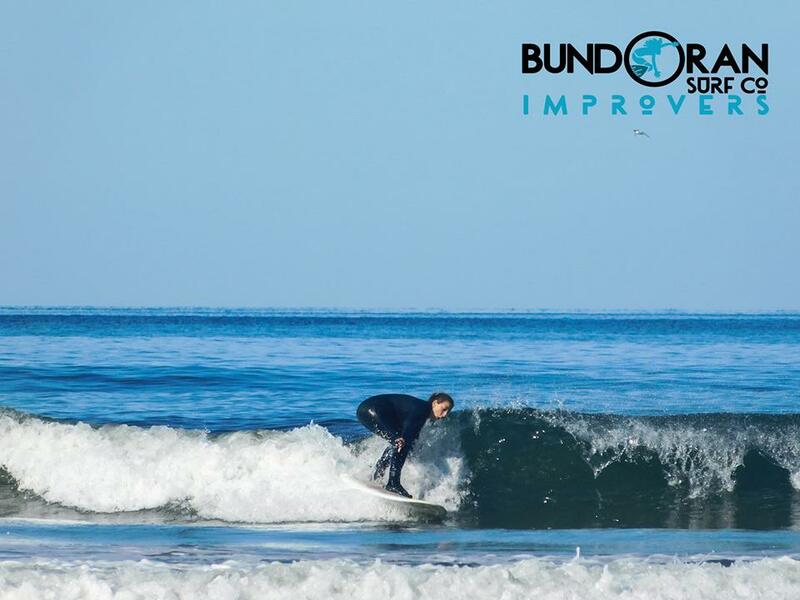 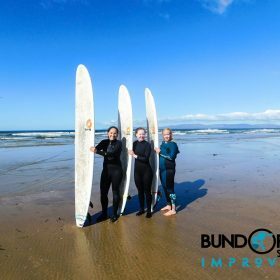 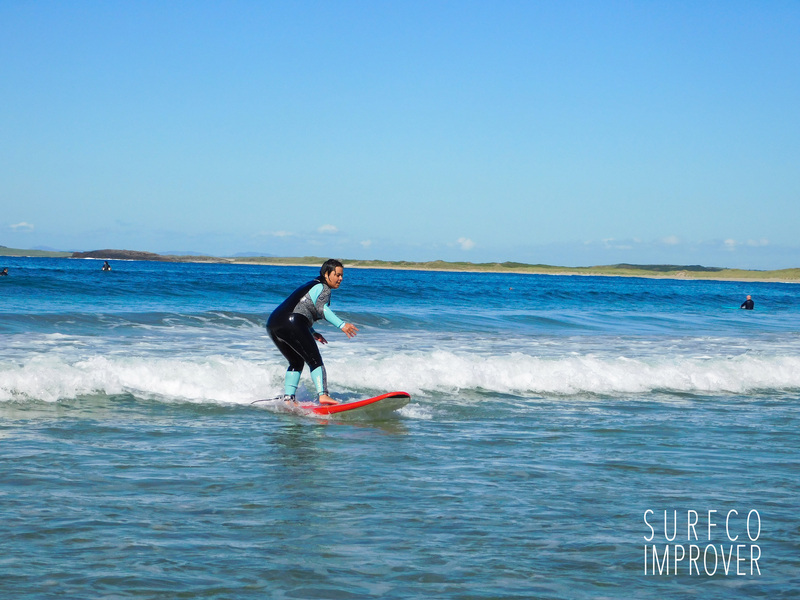 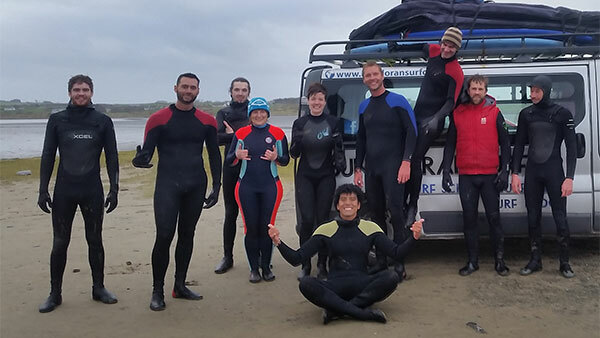 Improvers weekends – Bundoran Surf Co.
Bundoran Surf Co is running lots of Improver Surf Weekends and one-day courses in 2019. 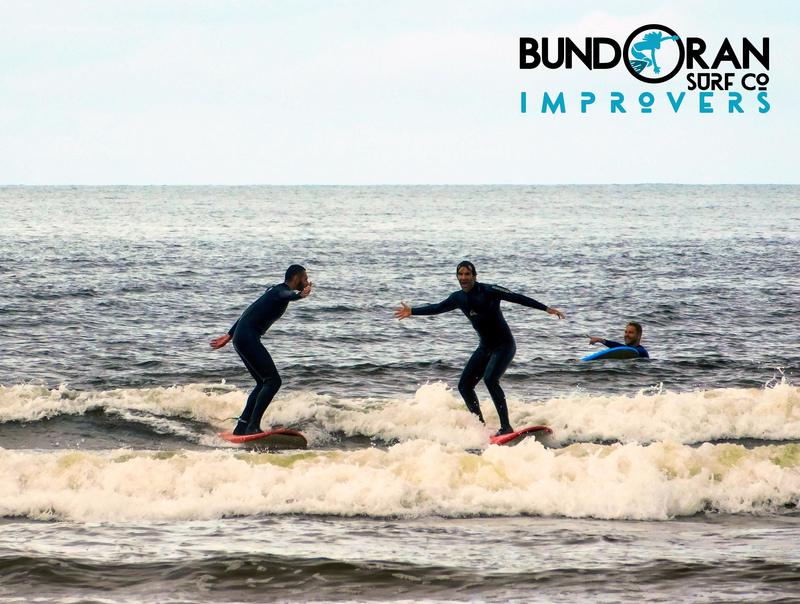 Improver lessons are aimed at those who can pop up regularly on a hard board but are looking at progressing their surfing. 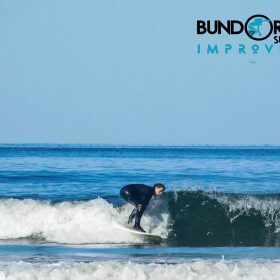 The weekend focuses on learning to catch more green waves, starting turns and trimming, paddling techniques, reading conditions and waves, surf different locations and thinking of trying out different boards. 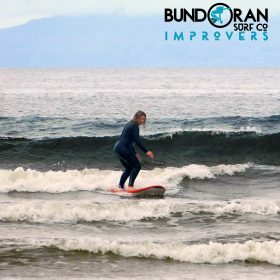 Intensive coaching will be provided by experienced level 2 instructors from Bundoran Surf Co. Class size is limited to 6 max to ensure a high level of personal instruction. 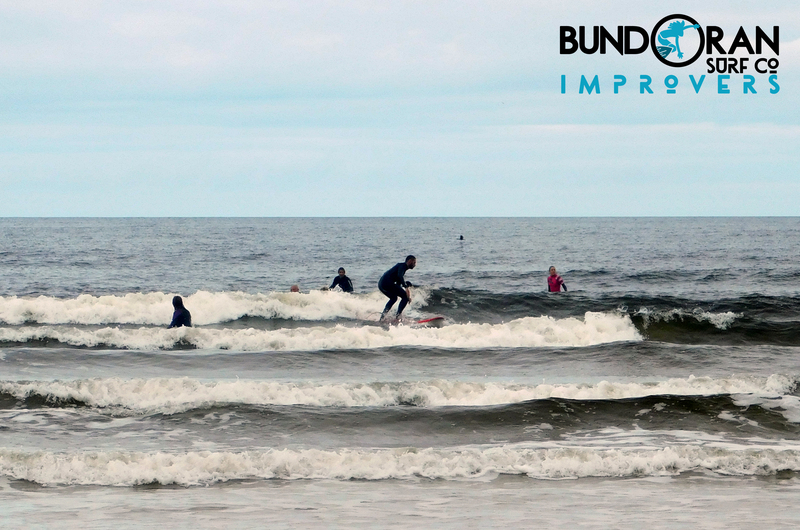 If possible we ask you to provide your own transport (or car pool) for the weekend so we can go to some different spots outside of Bundoran. 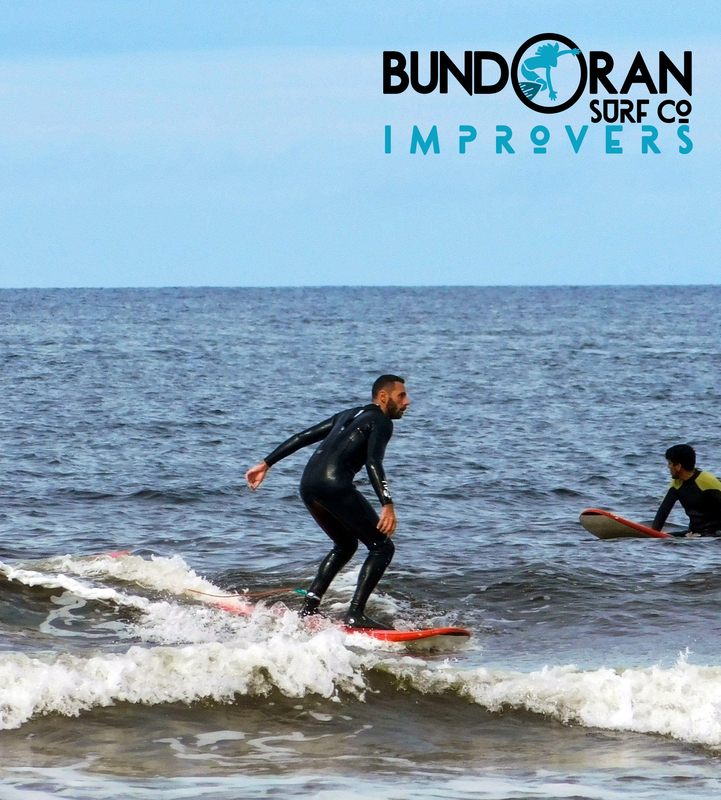 If you don’t have transport it is not a problem, just let us know when you book. 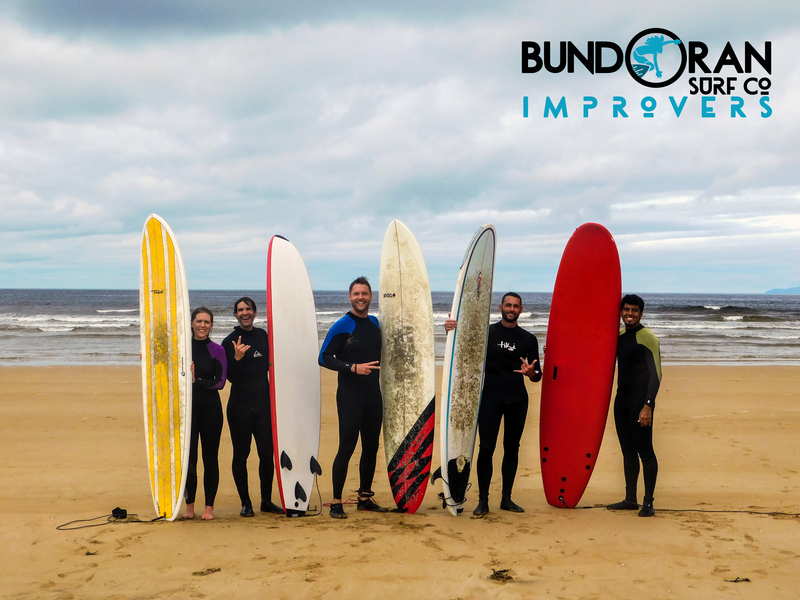 If you have a group of 6 people we can arrange your very own private improver weekend on any date. 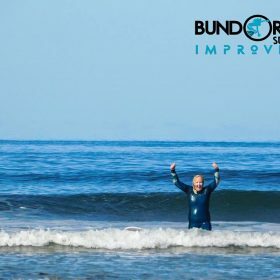 Please note, places for this weekend are limited to ensure the highest quality of instruction and personalised coaching. 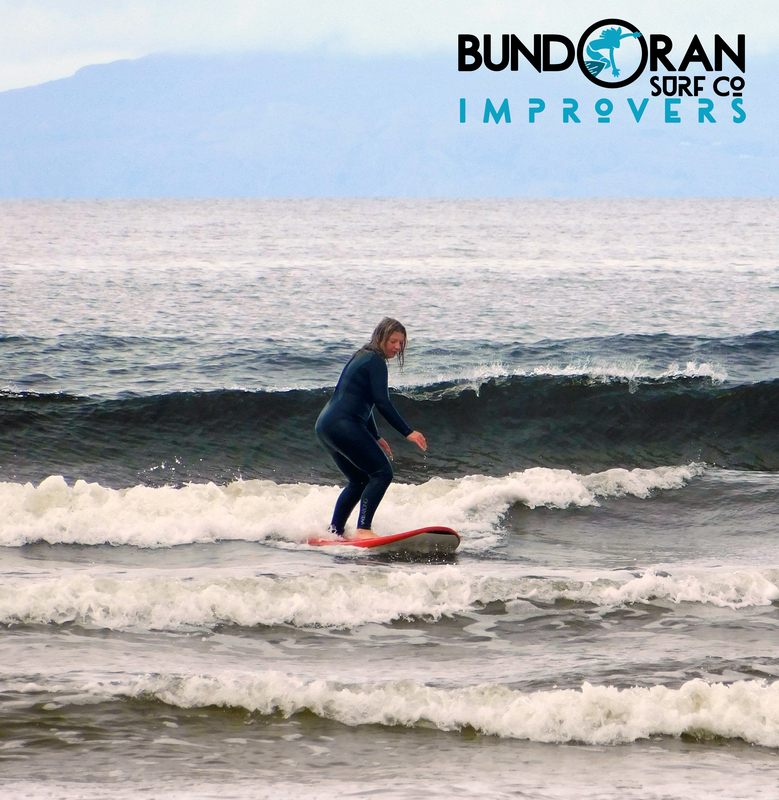 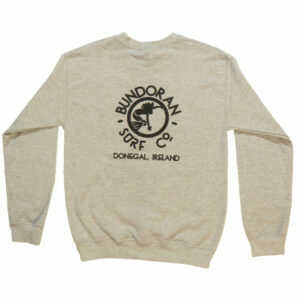 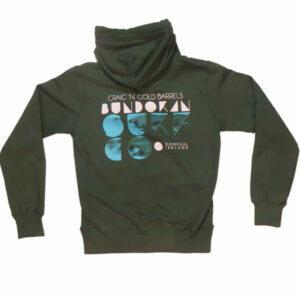 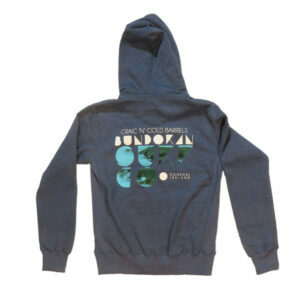 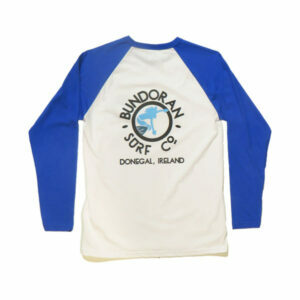 Bundoran Surf Co. will be able to provide a range of hard boards for those wishing to progress their skills on a hard board or something shorter from their large selection of boards available to suit all skill levels. 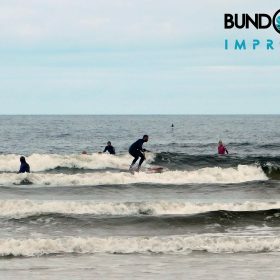 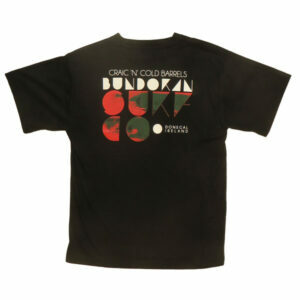 To book your place, contact Bundoran Surf Co on 071-9841968 or e-mail info@bundoransurfco.com The price for the weekend is €100pp and does not include accommodation. 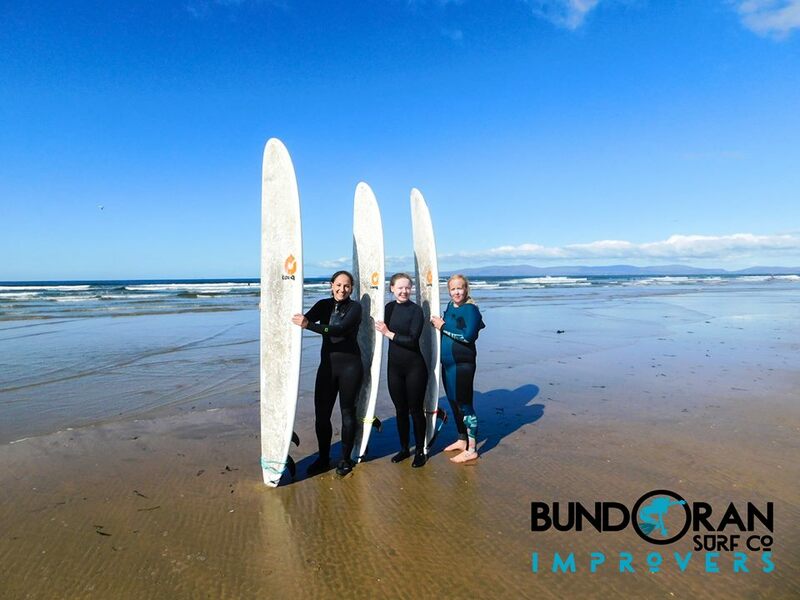 Accommodation is available in Bundoran Surf Lodge from €20pps per night in a dorm room or €30pps per night for a private room based on 2 sharing. 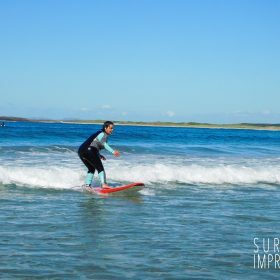 Prices include breakfast and there is a full kitchen for your use.